Extend your socket or ratchet with help from the 3/8 in. Drive 3 in. Extension Bar. The bar features a 3 in. extension and offers alloy steel construction for strength and long-lasting use. The finish provides resistance to corrosion. The extensions in this 4 piece 3/8" drive set feature outstanding corrosion resistance as a result of our proprietary in-house plating process. Gray socket extensions are made from premium tool steel for maximum durability and feature a distinct brilliant jewellery-like finish. Made in Canada and backed by Gray Tools worry-free lifetime warranty. The Husky 3/8 in. Drive Extendable Ratchet quickly adjust from 10 in. to 15 in. providing extended reach for hard to reach areas and greater leverage. The head flex's into 6 different positions allowing for the best angle in tight spots. A slim profile reversing lever and recessed quick release button add to the overall low-profile clearance of the drive head. 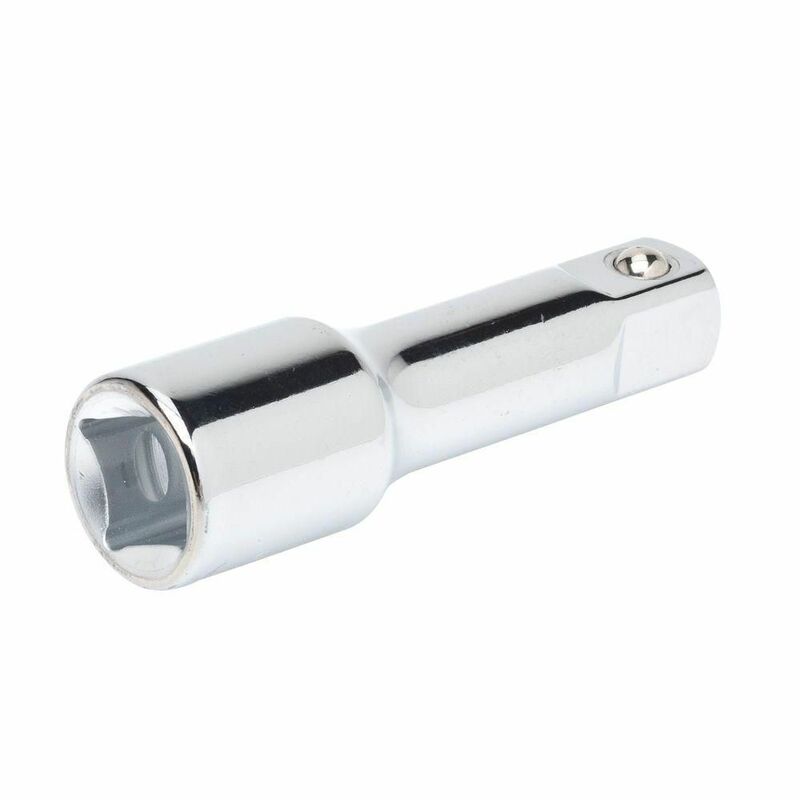 Extension Bar 3/8 Inch D 3 Inch Extend your socket or ratchet with help from the 3/8 in. Drive 3 in. Extension Bar. The bar features a 3 in. extension and offers alloy steel construction for strength and long-lasting use. The finish provides resistance to corrosion.